We’re back with another review from Valken, and this time we’re looking at their LiPo charging solution – the Valken Energy LiPo compact balancing charger. 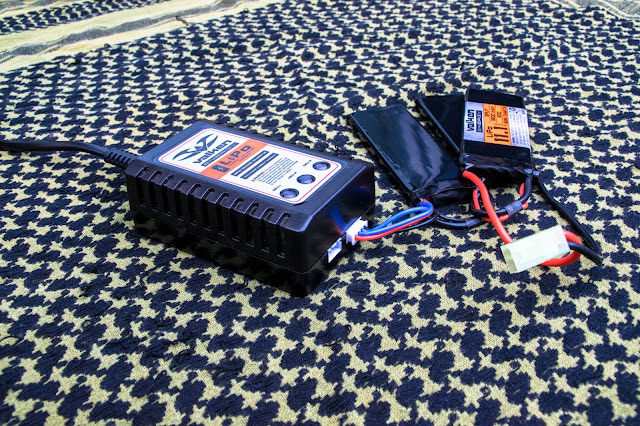 The charger is an affordable, lightweight, portable and compact charging solution for 2 cell or 3 cell LiPo battery packs that has separate charging ports for each. The unit is a small black polymer box with 3 LED lights and the Valken branding. It is a really compact, simple design that isn’t overly complicated – because of this It is super easy to use - simply plug the power cord/UK adapter into the unit, plug the battery into the charger and then lastly turn on the AC wall power. It sounds really obvious but be absolutely SURE to plug the battery in BEFORE turning on the wall power otherwise you risk damaging the charging unit! 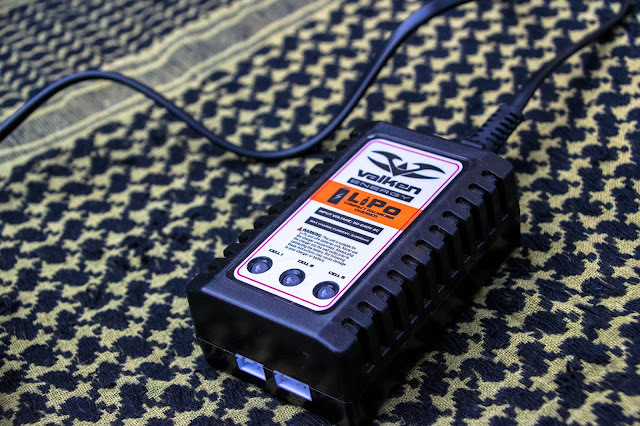 The charging unit has 3 bi-colour LEDs to indicate the status of the battery – once charging begins the LEDs on the unit turn red and once the charging of one cell is completed its corresponding LED changes to green. When all the cells are green the battery is fully charged. 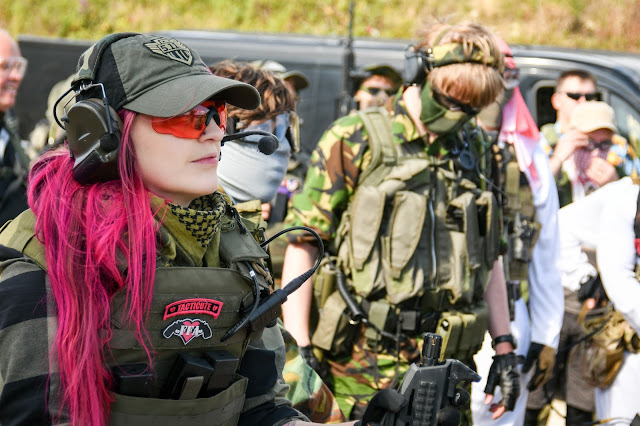 One of my favourite things about the charger is its plug and play usability and accessibility even to players who are new to airsoft. 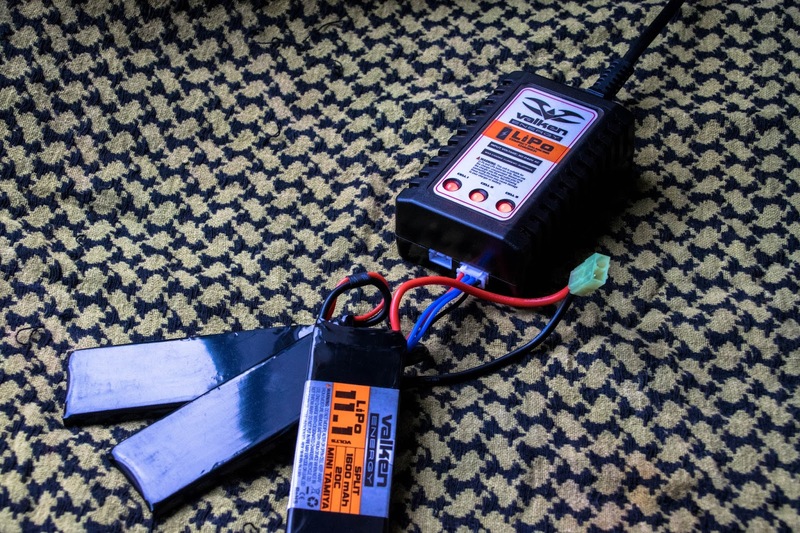 It takes around an hour to fully charge an 11.1 LiPo, which is pretty good from my experience of using various chargers in the past. The charger does have all of the important information printed on the unit including the maximum charge current etc and a warning label to ensure the unit is used correctly. As the charger is compact it can easily be stored into a pouch or range bag for storage, but also it is small enough to take to weekender games if you require some extra juice. I keep mine in my range bag during game days with a spare battery just in case so I can keep myself in the game. It is worth noting that if you are in the UK you will need the US to UK adapter for the power cord. The charger is available directly from Valken, here and retails at $21.99 which is around £16.95 at the current exchange rate, which is really affordable and competitive compared with other similar charging units. It also has a 90 day manufacturer warranty. 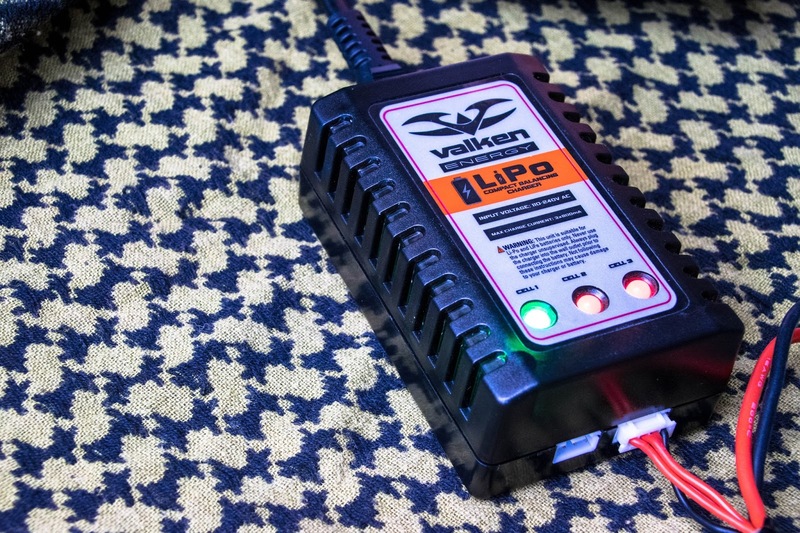 I firmly believe that all airsofters should have their own battery charging solution (as we can’t always expect the sites to do it for us) and the Valken Energy LiPo compact balancing charger is a handy and affordable piece of kit that is easy to use even for new players. 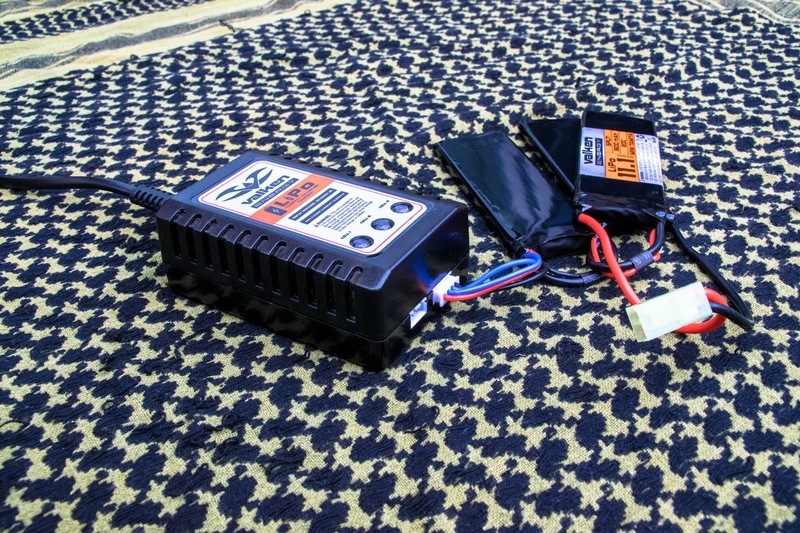 Even if this is just used as an intro to lipo charging equipment this is a great choice. Photography thanks to Liam Sibley Photography.